The Gabriele Law Firm in Independence, Missouri provides legal services in cases ranging from misdemeanors to felonies in both municipal and state courts. Attorney Daniel Gabriele helps clients with speeding tickets, traffic tickets, criminal defense cases, and juvenile defense matters. As a “hometown” lawyer who places a high value on providing expert legal services and representation to his clients, Daniel Gabriele is committed to putting in the necessary time and attention that each case requires – because Daniel Gabriele knows that even minor traffic violations and criminal charges can lead to serious consequences. Traffic Tickets – Attorney Daniel Gabriele has extensive knowledge and experience in legal matters concerning Speeding Tickets and License and Insurance Violations. In addition, clients can rely on the Gabriele Law Firm for assistance with Traffic Tickets stemming from careless or reckless driving, running red lights or stop signs, improper turn or u-turn violations, failure to yield, following too close, or leaving the scene of an accident. Criminal Defense – It is important to act quickly and hire the services of an experienced criminal defense attorney if you find yourself (or a family member) under investigation or actually charged with a crime. 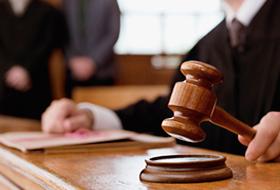 In cases of Criminal Defense, the Gabriele Law Firm can help. Attorney Daniel Gabriele represents clients in criminal cases concerning assault, burglary, criminal damage to property, disorderly conduct, drug charges, DUI/DWI, hit and run, obstruction of justice, receiving stolen property, robbery, sexual assault, shoplifting, theft, and trespassing. Juvenile Defense – Many attorneys concentrate on adult criminal cases and rarely concern themselves with juvenile court. Attorney Daniel Gabriele is an exception, representing juveniles in cases of assault, burglary, criminal damage to property, disorderly conduct, drug charges, MIP, receiving stolen property, sexual assault, shoplifting, theft, and trespassing. Daniel Gabriele persistently pursues his clients’ best interests and helps them make informed decisions about their cases. Everyone deserves a trusted, skilled lawyer to stand up for them. Gabriele Law Firm, LLC, serves the areas of Independence, Lee’s Summit, Kansas City, Raytown, Liberty, Grandview, and the entire Kansas City Metropolitan Area in Missouri. To schedule a FREE initial consultation with a Traffic Ticket Lawyer and Criminal Defense Attorney, call (816) 352-8510 or click here to contact Attorney Daniel Gabriele at his Missouri law firm today.